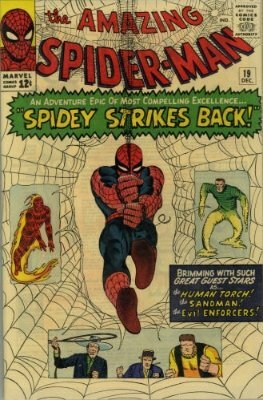 Spider-Man Villains: Origin, 1st Appearance + Comic Book Prices! What are the key appearances of Spider-Man bad guys worth? We include record sales and minimum values. Click any book for current prices. A complete list, including more obscure villains, is located here. 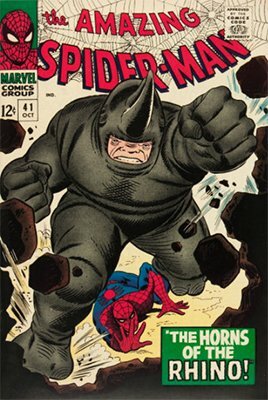 All the way back in May of 1963, we first met Adrian Toomes, better known as The Vulture, although we wouldn't learn his full origin until the 1980s, in Amazing Spider-Man #241. 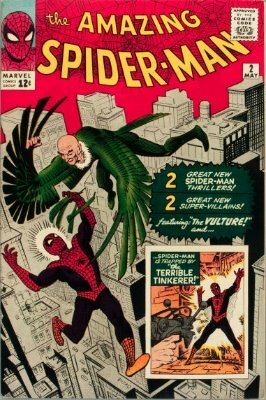 The Vulture was, and remains, an unusual foe, since he was already an older man before he ever became a Spiderman villian. After a troubled childhood, Adrian Toomes worked with a partner to develop an electromagnetic harness that would allow its user to fly like a bird. Cheated and pushed out of the business by his partner, Toomes sought revenge, and found that prolonged use of the harness had given his super-strength. Using the harness and adopting the identity of the Vulture, he embarked on a career in crime, attracting the attention of a certain wall-crawler in the process. 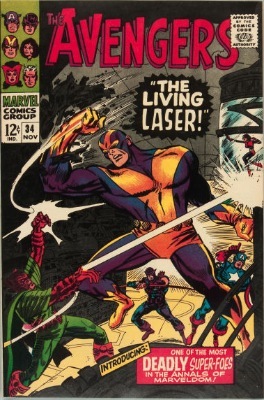 The Vulture was a member of the Sinister Six, the first super-villain super-group, and is now largely retired. 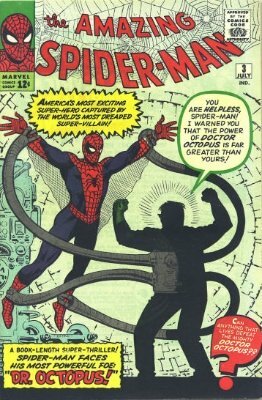 Dr. Otto Octavius, better known as Doctor Octopus, is, after the Green Goblin, Spider-Man's most recognizable villain. After the usual troubled childhood (dead father, over-protective, manipulative mother) Otto flourished in college, his brilliance leading him to work in nuclear science. He developed a chest-mounted harness that allowed him to use four tentacle-like arms to safely handle radioactive materials from a distance. Inevitably, there was an explosion of some volatile liquids during one of his experiments, and Otto found himself able to control the arms mentally as a result. He also suffered brain damage, which rendered him evil. Dr. Octopus founded the Sinister Six to try to defeat Spider-Man once and for all, a plan which clearly failed. 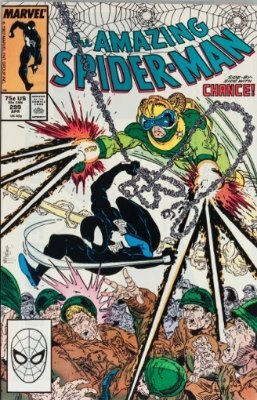 Always defeated by Spider-Man, Dr. Octopus (or "Doc Ock", as Spidey calls him) always came back for more, even returning from the dead a few times to battle anew. At present, he is considered "deceased." 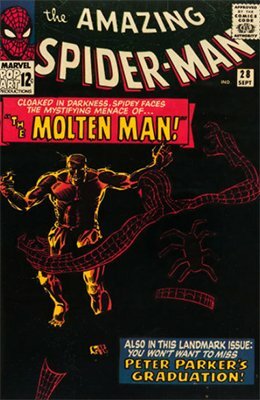 The Sandman is one of the Spiderman villains who did not remain exclusively in the pages of Amazing Spider-Man (notably crossing into the Fantastic Four universe). But his first appearance was notable in particular for his bizarre appearance and powers. Originally known by his alias Flint Marko, the Sandman is William Baker, a career criminal who gained his powers while hiding from the law. He was laying low on a beach when a nearby experimental nuclear reactor's steam system exploded, and the resulting bath of radiation changed his body so that he could transform it into a malleable, sand-like substance. The Sandman was a member of the Sinister Six and also of the Frightful Four, who fought the Fantastic Four many times. Dr. Curtis Connors was a mild-mannered scientist who lost his arm in an accident. He became determined to create a serum to help himself and others regrow lost limbs by experimenting with reptiles, many of whom can regenerate lost limbs or tails. Injecting himself with the serum to test it, he was overjoyed to see his arm grow back, and then moments later transformed into an anthropomorphic, six-foot lizard, with deadly strength and reptilian abilities. 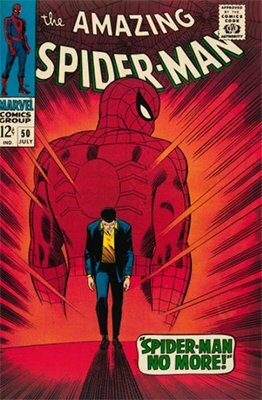 Spidey felt sympathy for Connors, and helped him, time and again, to regain his human form with an antidote. The Lizard is currently known as The Shed, and should probably be considered "dead" for all intents and purposes. Electro is really Max Dillon. Dillon was a lineman for the electric company when he was struck by lightning while working on the wires. Instead of dying, he gained control over electricity, able to create it in the form of bolts shot from his hands, and to control it when in contact with another source. Spider-Man generally defeats him with rubber-soled shoes or by short-circuiting him in some way, for example, with water. He was a member of the Sinister Six and all the subsequent Sinister groupings, and is currently in a state of semi-retirement. He's also co-starring in the new Amazing Spider-Man movie in 2014. Mysterio is the villainous alter-ego of Quentin Beck, a former Hollywood stuntman and special-effects artist. Disgruntled at the low pay compared to movie stars, he decided to use his special-effects skills to become a super-villain and make his reputation by taking out Spider-Man. 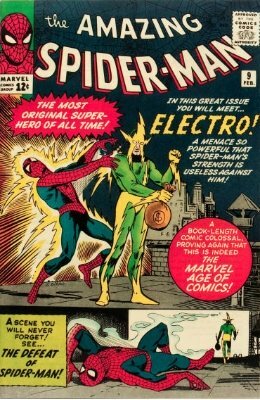 He used smoke and mirrors, and various gases with hallucinogenic properties, along with explosives and a number of deadly gadgets to wreak his particular brand of Spider Man villainy. 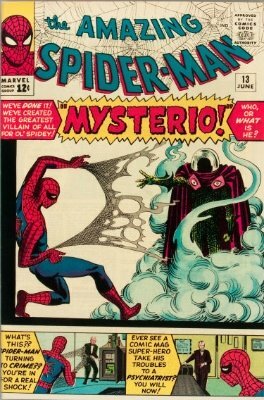 After an apparent suicide, Mysterio returned from hell to do more evil work, reinforcing the rule that no death is final in comics. 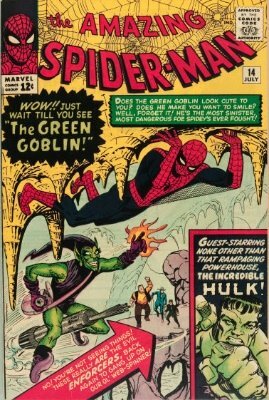 No villain is as closely associated with Spider-Man as The Green Goblin. Norman Osborn, father of Peter's best buddy and later roommate, Harry Osborn, was an industrialist who had always dreamed of money and power. After finding out that a former business partner had developed a super-strength formula, he attempted to use it on himself. It backfired, exploding in his face and causing him to go insane in addition to its intended result. 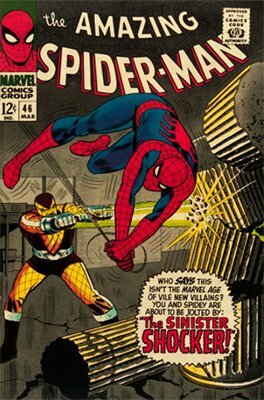 Of all Spiderman villains, he is the closest to an arch-nemesis, and was responsible for the death of Peter's longtime love Gwen Stacy in Amazing Spider-Man #121, before his own seeming death in ASM #122. Descended from the displaced aristocracy of Russia, Sergei Kravinoff turned to big-game hunting to try and recapture the pre-communism glories of his class. 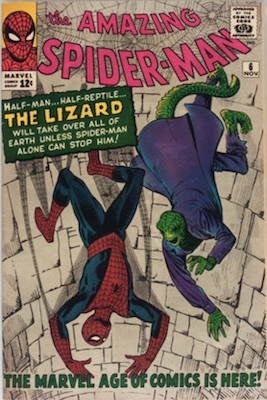 He became bored, however, and his half-brother, The Chameleon, steered him towards the biggest game of all: Spider-Man. Empowered with more than typical strength and speed by the mysterious jungle elixirs he drank, he was a menacing Spiderman villain many times over the years before taking his own life. Of course, he was brought back to life, killed again, and his location and activities are at present "unknown." The Chameleon (Dmitry Smerdyakov) has the 'super-power' of changing his appearance radically, fooling almost all observers. Driven by an abusive childhood, Dmitry became good at impersonations, and a master of disguise. He used and abused this ability with make-up, wigs, and costumes until later he was given the ability to physically transform his appearance through only mental effort after taking an experimental serum. 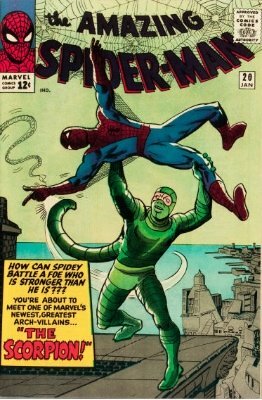 The Chameleon remains an active Spiderman villain. Big movie news! The Scorpion appears in a cut scene at the post-credit part of the latest Spider-Man movie, Homecoming. It's more than strongly rumored that he will be the next Spider-Man villain to hit the big screen. Sales in low to middle grades are brisk. It has been a while since a 9.8 hit the market, but when it does, the record will certainly be broken. The Shocker is Herman Schultz, a career criminal who built himself a set of "vibro-shock gauntlets" that shoot out blasts of super-vibrated air, allowing him to deliver powerful punches at long distance. He wears a special padded suit to cushion himself from their effects. The Shocker is unique in the Spiderman villains gallery in that he is completely sane, albeit an inveterate criminal. He remains at large. A minor Spider-Man villain in Spider-Man: Homecoming, which rocketed previously low-value, low-grade books into must-have keys. The Kingpin is a crime lord, a big, fat crime lord. And those are his powers. Wilson Fisk is overlord of pretty much every crime family whose last name does not end in a vowel, and wields considerable underworld influence as a result. It does not hurt that he is so large and strong that he is nearly impervious to attacks. What seems to be fat is in reality a huge mass of muscle, and the closest convenient comparison would have to be a sumo wrestler. At present the Kingpin is still active in organized crime and still organizing other Spider-Man villains in an attempt to rule the city. 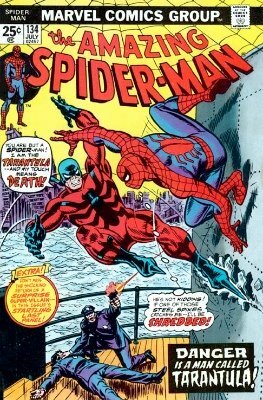 His first appearance is hot after the Daredevil TV show on Netflix featured this Spiderman villain. 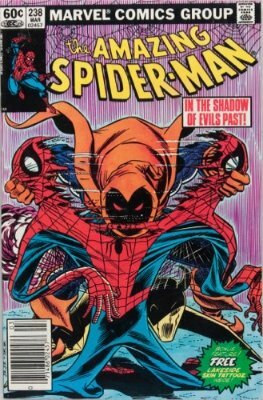 The Hobgoblin is really Roderick Kingsley, a ruthless and unethical fashion designer. 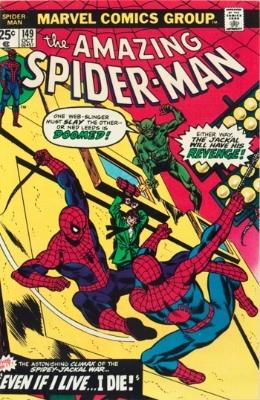 A small-time criminal had found one of the Green Goblin's old secret lairs and sold the information to Kingsley, who killed the man for his trouble and then developed a modified version of Norman Osborn's old Goblin formula. He gained super-strength, speed, stamina, and the like, and modified the Goblin's costume and gear and became the Hobgoblin. He has had ups and downs as a Spider Man villain, especially when Norman Osborn reappeared as the Green Goblin, but is currently still active. During Marvel's Secret Wars miniseries, Spider-Man tore his costume fighting on an alien world. He was directed to a facility where he could get a new one, but instead unknowingly freed an alien symbiote who had been imprisoned there. In a black liquid form, the alien slithered over Peter, who thought it was no more than an alien costume. He wore the costume for several years before realizing that it was an alien who wanted to bond with him permanently. Eventually separating himself from it, Peter thought he was free of the symbiote, but it returned, first bonded with criminal Eddie Brock, and then again and again, having bonded with new humans each time, as Venom. Once, the symbiote even merged with Flash Thompson. Venom has a number of powers, and remains an active Spider Man villain today. 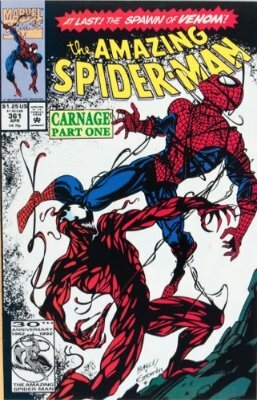 Carnage is a cast-off chunk of the Venom symbiote who became attached to Eddie Brock's prison cellmate, Cletus Kasady, who happened to be a schizophrenic homicidal maniac to begin with. Like the Venom symbiote, Carnage has since bonded with many other characters, and has incredible powers. If we've forgotten any Spider-Man villains, please get in touch and let us know right away! 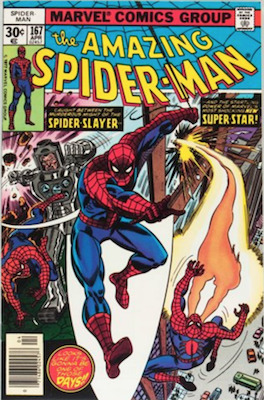 Stan Lee was just reaching his peak in the early 1960s, and this was reflected both in the storylines of The Amazing Spider-Man comic, and in the villains he created for this game-changing hero to fight. 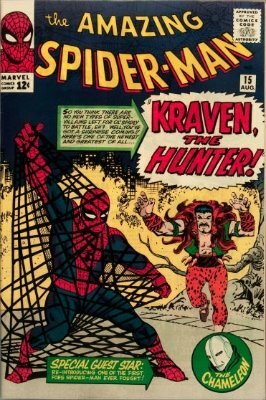 Stan Lee has not been a regular Spider-Man writer since 1972, but even the villains created after Stan's time have a timeless and compelling quality. Spidey's opponents are iconic, and really only the Batman villains can compare in terms of recognition and staying power. Most of the villains that Stan Lee created in the ten years he wrote The Amazing Spider-Man are still around, still going strong. 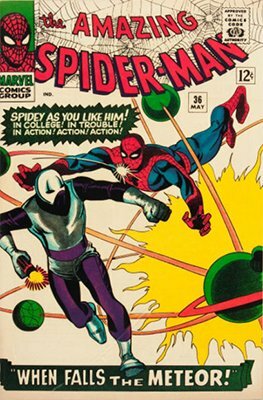 And of course, it should be mentioned that much of the creative spark behind ol' Web-Head's villians was due to the artists that worked on the title at the time (Steve Ditko and John Romita, Sr., for the most part), for they helped determine the villains' visual impact. 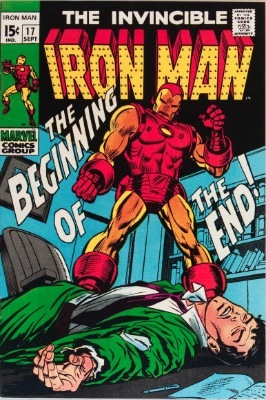 Their work, along with Stan Lee's, continues to connect with readers to this day. 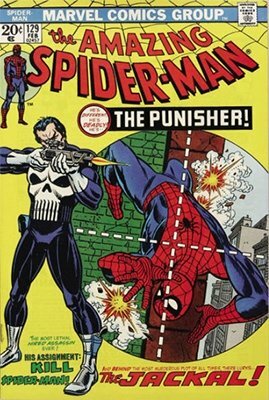 So let's explore the most notable and notorious of the villains to ever try to work their criminal wiles under the watchful eye of their friendly neighborhood Spider-Man! 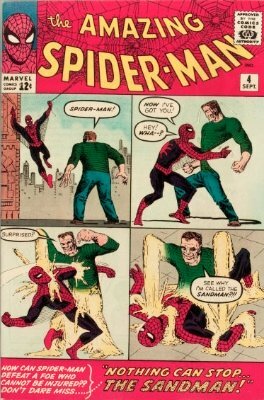 Have Your Spider-Man Comics Valued! 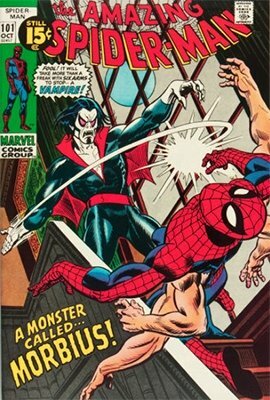 If you've got some copies of first appearances or origins of Spider-Man villains, then click here to have them valued FREE by Sell My Comic Books! Learn about the famous villains in Batman, Captain America, the X-Men and more. Find out the values of all the popular Marvel issues, from the Avengers to X-Men. Which bad guys might star in future movies? Find out with our speculator's guide to the big screen!